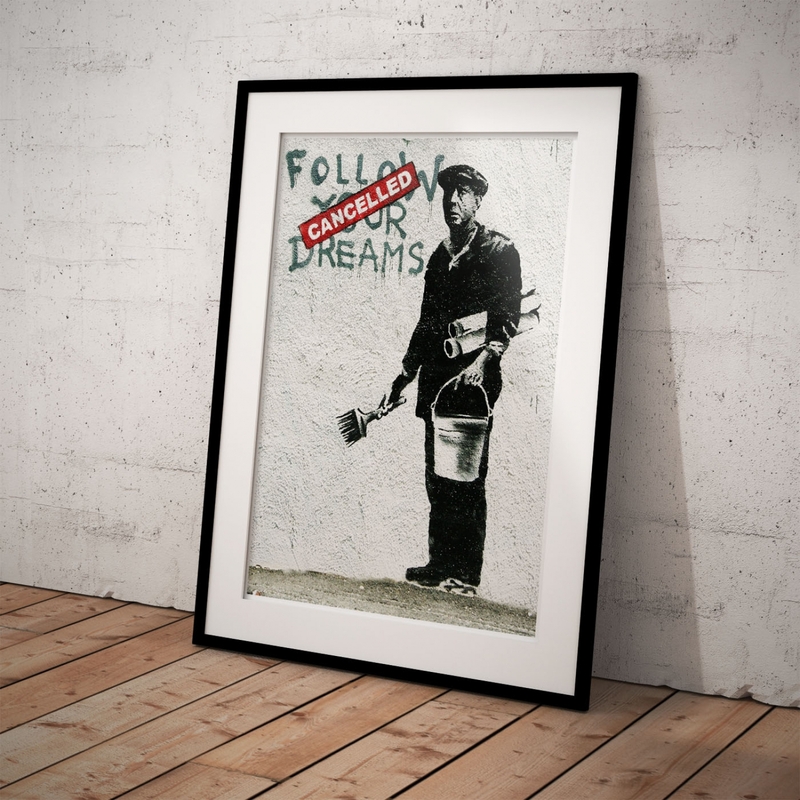 "Follow Your Dreams", a thought provoking poster by Banksy. 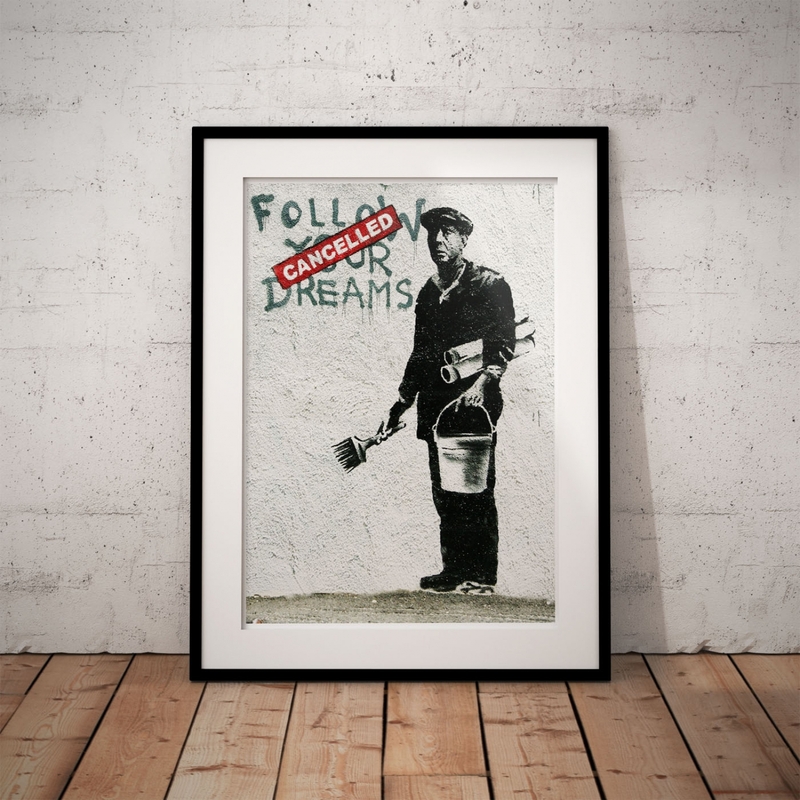 The image displays a worm out painter beside the painted words "Follow Your Dreams" in capital letters. 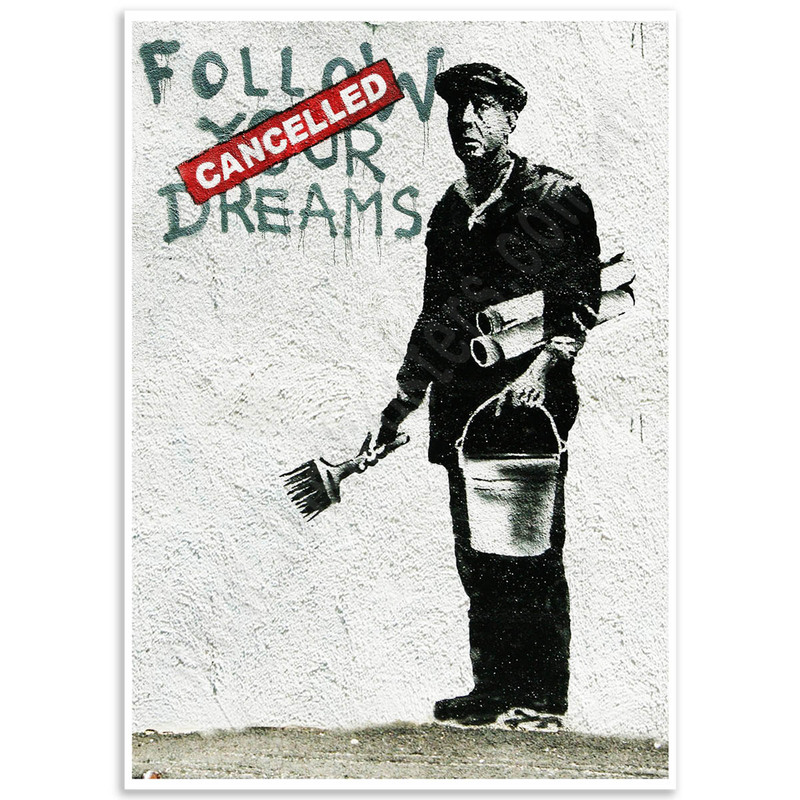 The phrase becomes secondary to the word "Cancelled," which is sprawled across the empowering message. 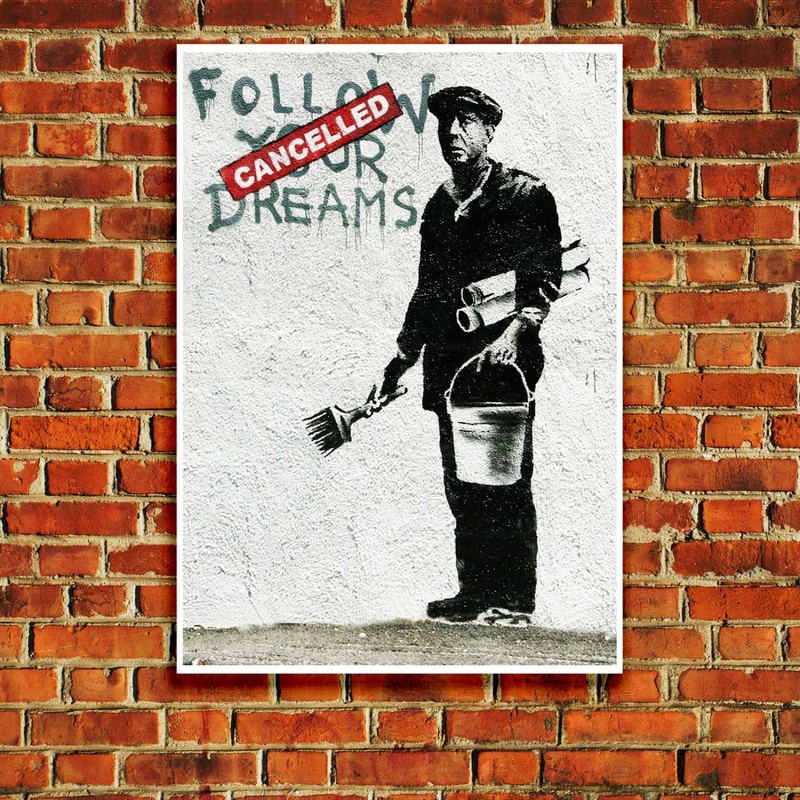 Banksy gives the figure a typical black and white colour, the "message" is done in green paint and the word "Cancelled" is painted over the top in bold white capital letters in a red rectangle, resembling a stamp. The artwork was done in the low-income district of Boston which gives the piece a deeper meaning, a commentary on class stratification. The artwork appeared in the Chinatown district of Boston in May of 2010. 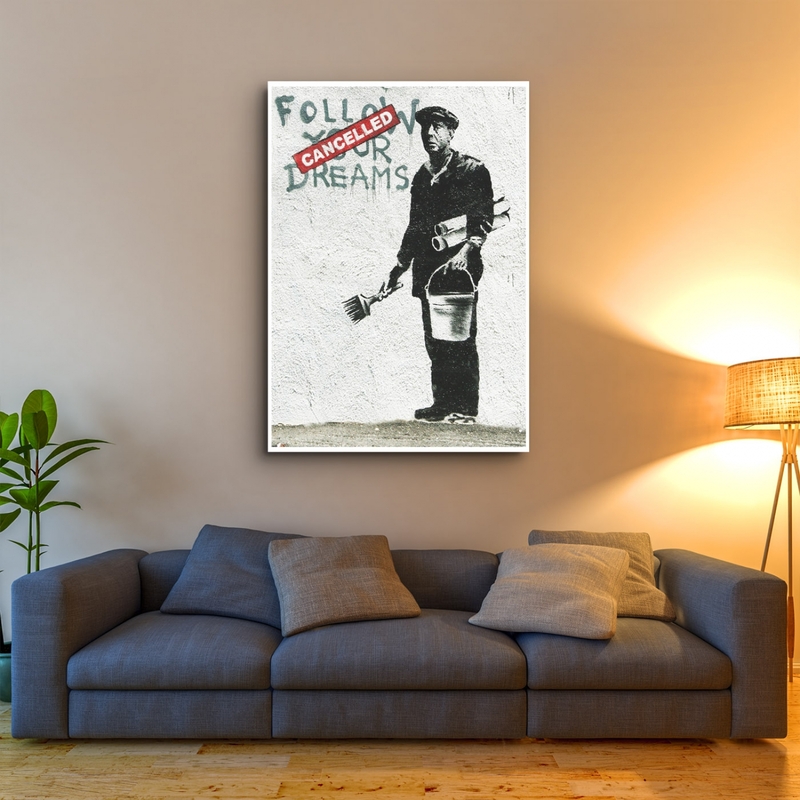 The "Banksy, Follow Your Dreams" Poster was created from an original photograph. Waiting in Vain - Street Art Poster Waiting in Vain Poster, Banksy tells it like it is.Original artw..
Business Giraffe - Street Art Poster Banksy Street Art tells it like it is.Banksy is an England-base..
No Future Girl - Street Art Poster Iconic Banksy: "No Future Girl" Street Art tells it like it is.Th..
CND Soldiers - Street Art Poster One of Banksy’s most iconic worksBy contrasting the image of sol..